I’ve wanted to design and print polymer letterpress plates with my Pocket Press for a while now. So for Valentines day this year, I created a sheet of classroom Valentines for my son and me to press together. It’s not our first printed Valentine, and it probably won’t be the last. I settled on a standard kid valentine card size so I could create a sheet with 4 unique Valentines to cut out after printing. A few years ago I illustrated a book of very short stories, called Legumes, for my friend, author Gabriela Knutson. I decided to use some of these drawings for this Valentines project. 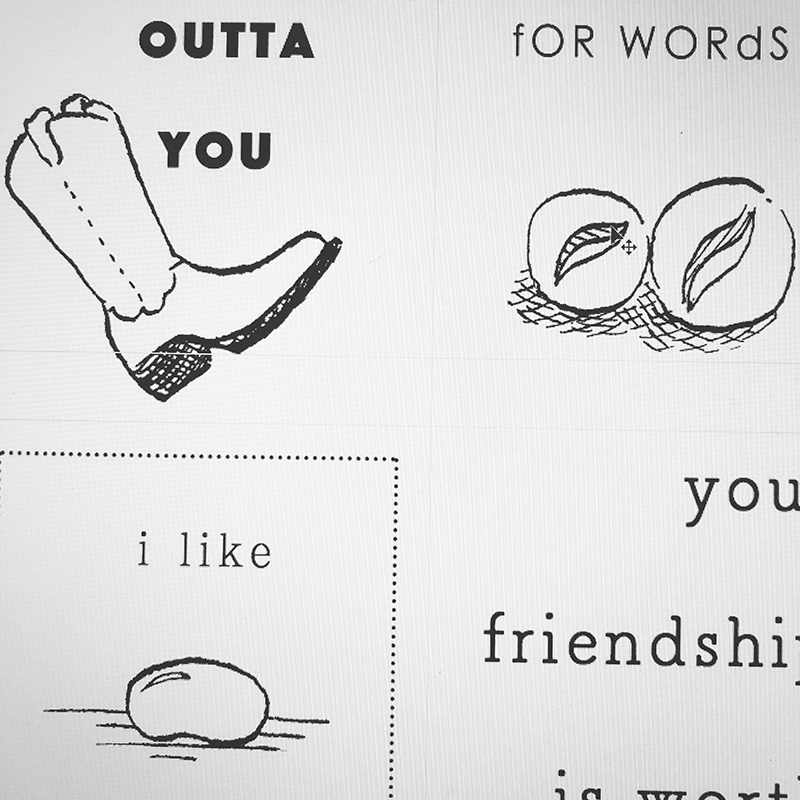 I looked through the illustrations and chose 4 that could put a spin on to say something positive or make a pun. 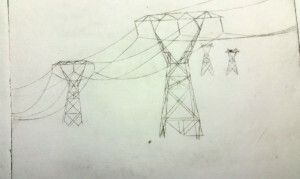 Here’s a shot of my computer screen during the design process. I used Adobe Photoshop to create the designs, and then I decided which elements would be red or black. I uploaded my two files to the Boxcar Press site and about a week later my new polymer letterpress plates arrived in the mail! The hardest part about doing letterpress without an actual letterpress is inking. Here is a great tutorial for inking without a letterpress by Boxcar Press: L Letterpress Printing Techniques. The tutorial explains how to ink by hand. “The solution always has been to put roller bearers to support the roller alongside the part that you want to ink” according to Boxcar- and they show you how. Their tutorial assumes you’ll be printing with an L Letterpress setup, but the inking advice applies to doing letterpress with any press that isn’t a letterpress. I ended up having to move my tape registration marks a little, but I figured it out after some troubleshooting and the rest of the Valentines came out registered. 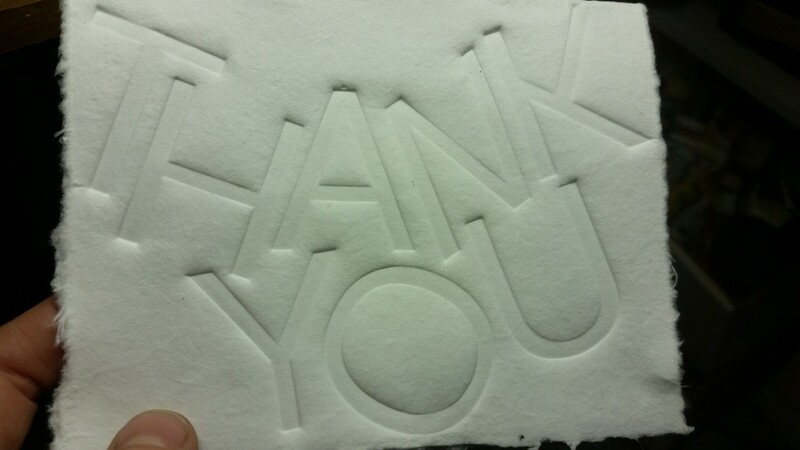 It was also very handy that the surface I attached the second letterpress plate to was clear. I was able to lift it up and turn it over to get that registration right! I plan to do more letterpress in the future and to create a tutorial using a simpler project, like for invitations or for couples who want to make letterpress wedding invitations without a letterpress. Details like the best ink types and how to prepare your files for the plate maker will be covered, along with video footage and step by step instructions. With a smaller plate and just one ink color, single cards and invitations are a much simpler project than these relatively humongous two color valentines. But, they didn’t turn out half bad! Even after I trim the roller bearer strip markings off the edges, my valentines will have a few small smudges. Inking two color plates for letterpress without an automatic inking machine (a letterpress) is a challenge with any type of non-letterpress, but I’m quite pleased with the results. Anything is better, in my opinion, than purchasing advertisements disguised as Valentines and distributing them in the classroom. The beauty of letterpress is that quality that stands out from the noise of over designed colored clutter like a breath of fresh air. Need some classroom valentines for your tyke? We have plenty of extras in the shop. 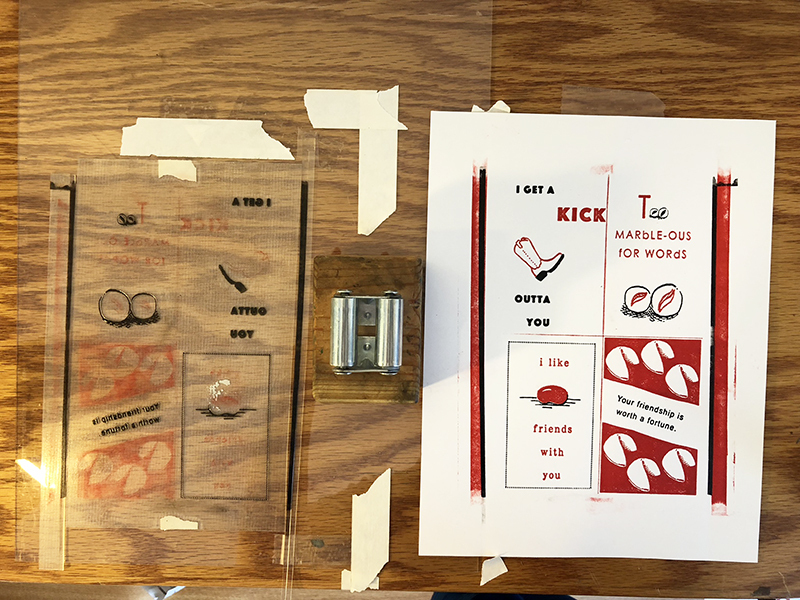 I pressed this set of handmade classroom Valentines with my Pocket Press using two letterpress plates. These were handmade, by me- and they do show some evidence of being handmade. Each set includes 4 of my original Valentine designs. Even the puns are my own. These are intended to be passed out in class so there are no envelopes. The back is blank. 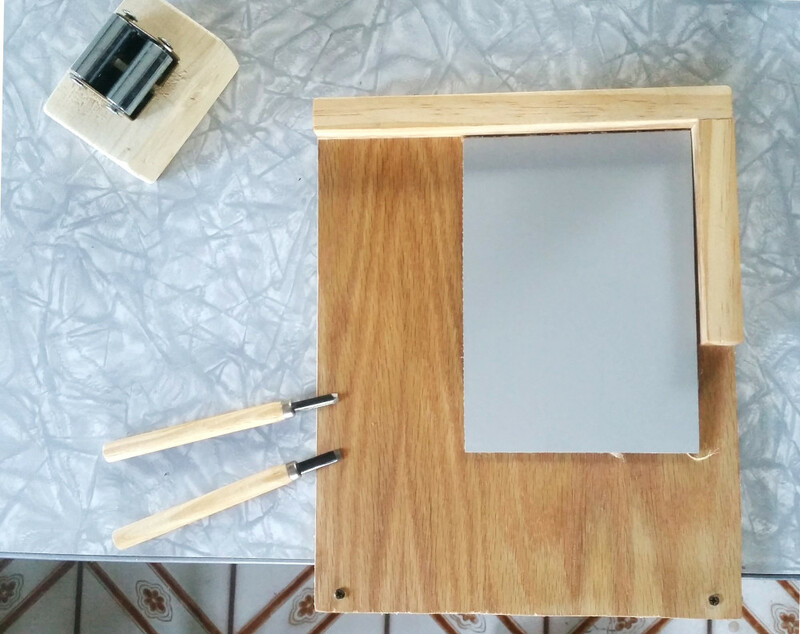 A common printmaking misconception is that you need all the right tools to begin. You really don’t. Over the years I have found many substitutes for high dollar printmaking materials. While I encourage the use of quality materials, particularly handmade paper, sometimes expense and availability can get in the way of art making. Here are my best printmaking hacks to start or keep you printing regardless of funds or materials. 1. You don’t need plexiglass or copper to make beautiful work. Aluminum cans can be sliced and laid flat and etched into on either side. I recommend using a tallboy can so you have a larger plate to work on, and taping it down so to prevent the metal from rolling up while you’re working. This also protects you from those sharp edges. CDs are another fun alternative, but just about any smooth plastic will work. I’ve used overhead projector plastic sheets for an experiment with printing etchings onto wood (semi successful). I wouldn’t be surprised if the smooth inside of a plastic milk carton would make a good substrate. 2. You don’t need a fancy etching scribe to make a good impression. My first printmaking teacher, Brian Spolans, taught us that we could tape a pushpin to the end of a pen. 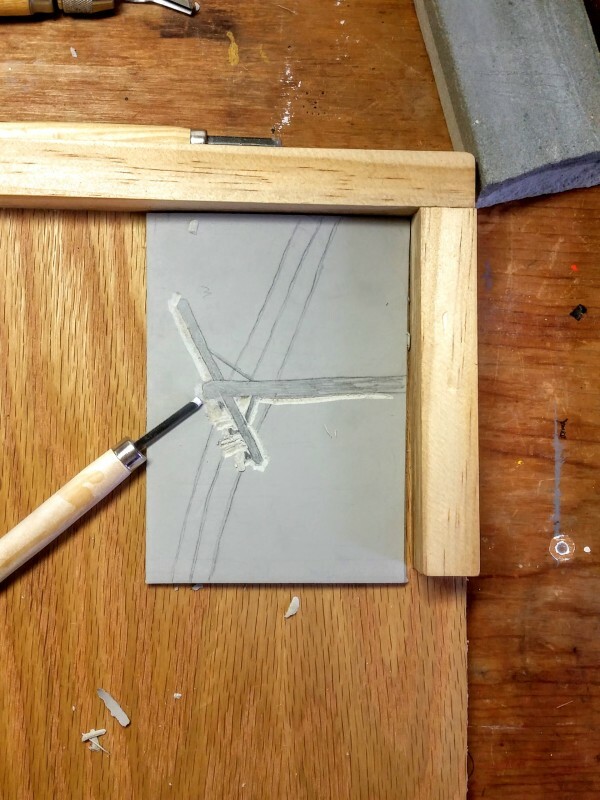 I used that silly looking tool to etch my first drypoint. I’ve upgraded since then- my favorite etching tool now is a needle in a mechanical pencil. 3. No ink? 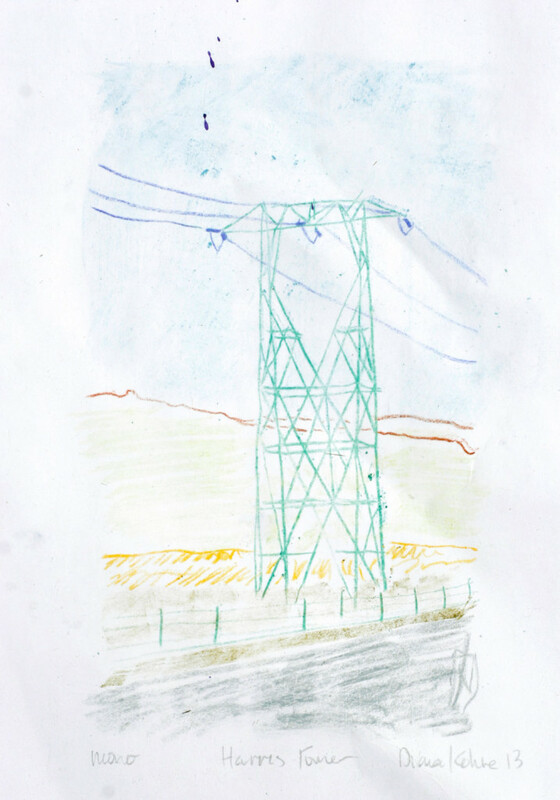 Try scribbling across your plate with a watercolor pencil or crayon. 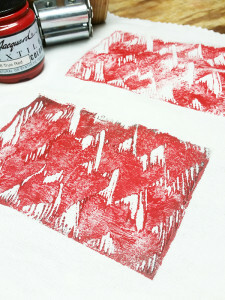 The water based pigment will fill the grooves and your wet paper will draw it out, much that same as ink. 4. No tarlatan? Use cheesecloth or phonebook pages. I’ve also had luck using fabric remnants from a tight weave cotton fabric- think quilt or tablelcloth material. I made my first monotype in high school, using watercolor on a sanded plexiglass plate. Since then I’ve done monoprint using oil paint, waterbased marker, watercolor crayons and watercolor pencil. I’ve even experimented with chalk pastel, making some beautiful effects using Prismacolor Nupastel. 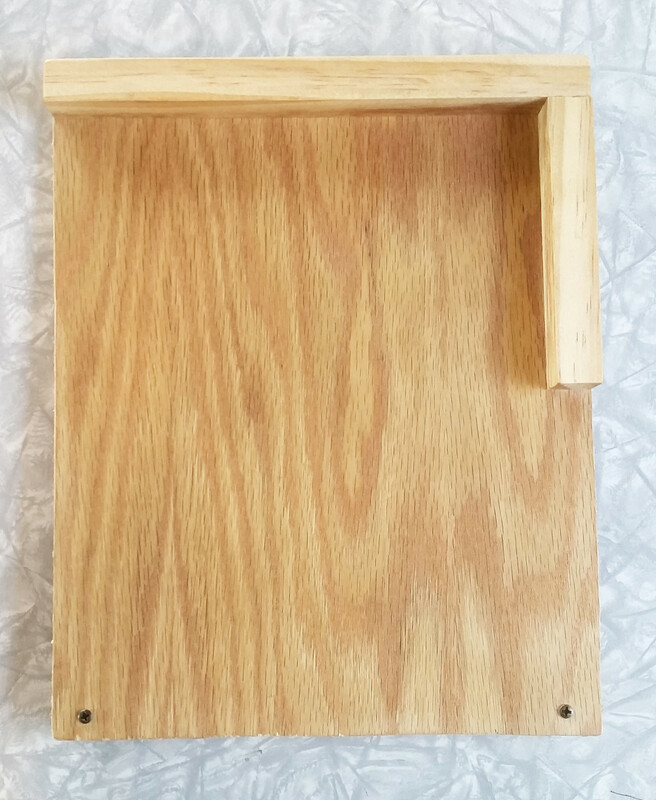 In a moment of artistic passion, I grabbed the nearest scrap wood I had- a thin plywood I had found by the side of the road and schlepped home. No, not balsa, not linoleum. I had no wood carving tools yet so I used a wood burning tool. I love the effect. You can see the woodgrain. I cut a little frame for the print out of the same wood I used to make it. Here is my relief print “Burbank Alley” made from the lid of a styrofoam egg carton. Materials are everywhere, and frequently in the the recycling bin. See my Styrofoam Printmaking post for more on this. When it comes to unusual materials, collagraph is my favorite. When I taught printmaking afterschool, the kids loved the chance to glue unexpected things to paper. I brought rosemary, feathers, textured fabrics cut from dilapidated lawn furniture, mesh bags fruits and vegetables were purchased in, pastas and more. In my years of printmaking I discovered an inexpensive paper that soaks quickly and absorbs ink well every time. It’s good to have a reliable paper for tests or classes. I’ve ended up using it for cards as well. Office supply stores sell a heavy weight cardstock, sometimes called Vellum, that works great. Neenah Exact Index Premium Cardstock was the most recent name I purchased this paper under. Offered by both Office Depot and Staples, 250 sheets goes a long way! Soak a minute or two, until the paper develops a couple of gray spots- where the paper soaks through too much, pat dry in a towel, and print. 1. The Pocket Press! I have to mention it for those reading this post from another source. 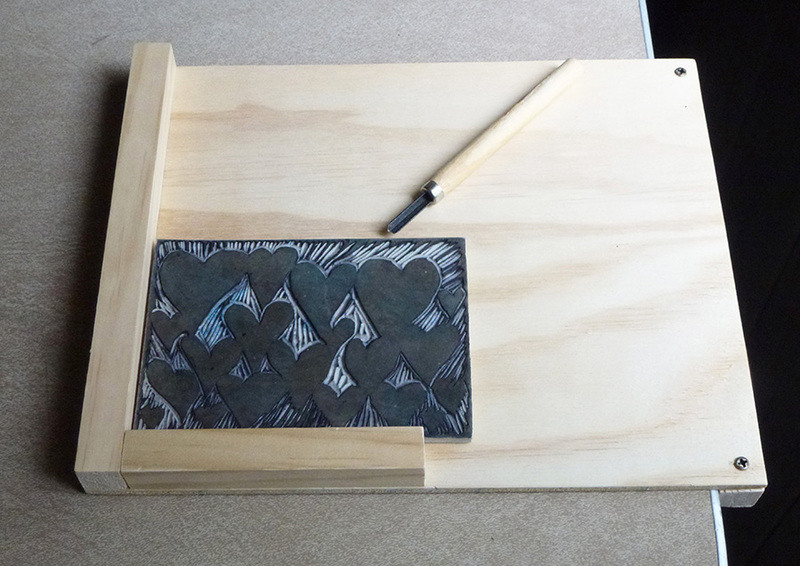 If you are not yet familiar with my handheld press, learn all about it here: Printmaking Press in a Box. 2. Your car. 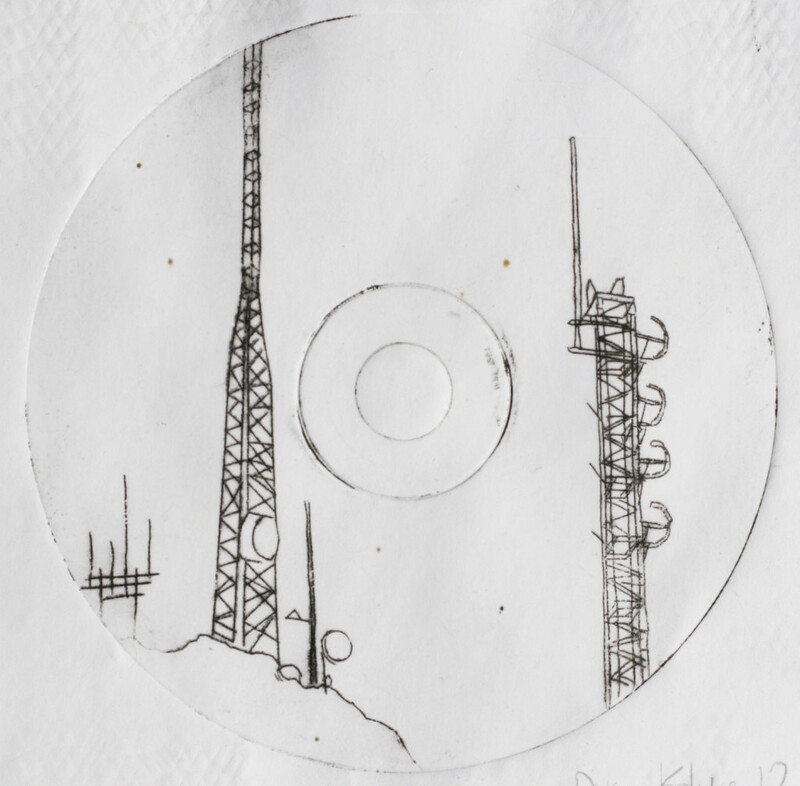 I have printed etchings using my car tire. Proceed with caution. You plate could break. I set it up with a wooden board on top of the traditional felt sheets. 3. Your office chair wheel. I conducted an experiment in office printmaking using a broken open ballpoint pen for ink and the wheel of my chair to press the ink onto the page. 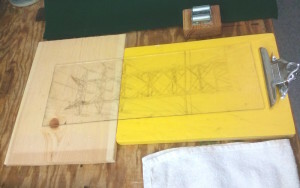 I had to roll back and forth over the plate a bunch of times, and make sure my weight was being applied as I rolled, but I did transfer my etching. Not beautifully, but, enough. 4. I’m a fan of the wooden spoon, though I’ve always wondered what kind of transfer I could using my weight an a roller skate. 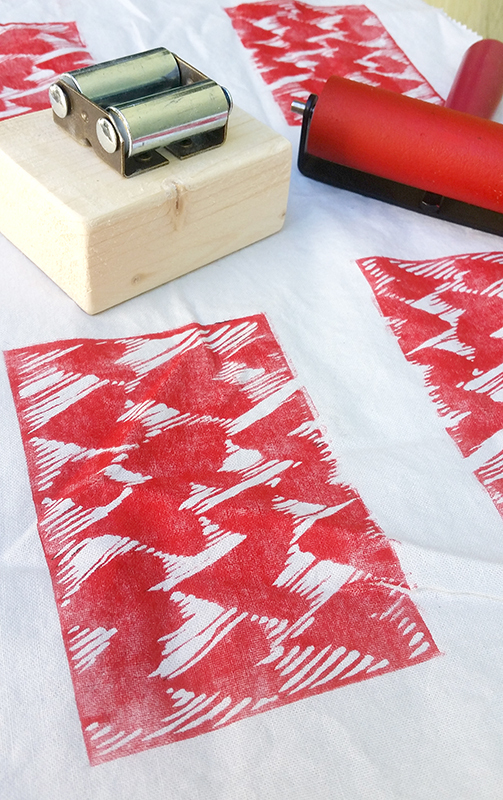 What are your favorite printmaking hacks? After weeks of contemplation and hours of experimentation, I have created a way for linocutters to print multiple color passes and use dry paper! 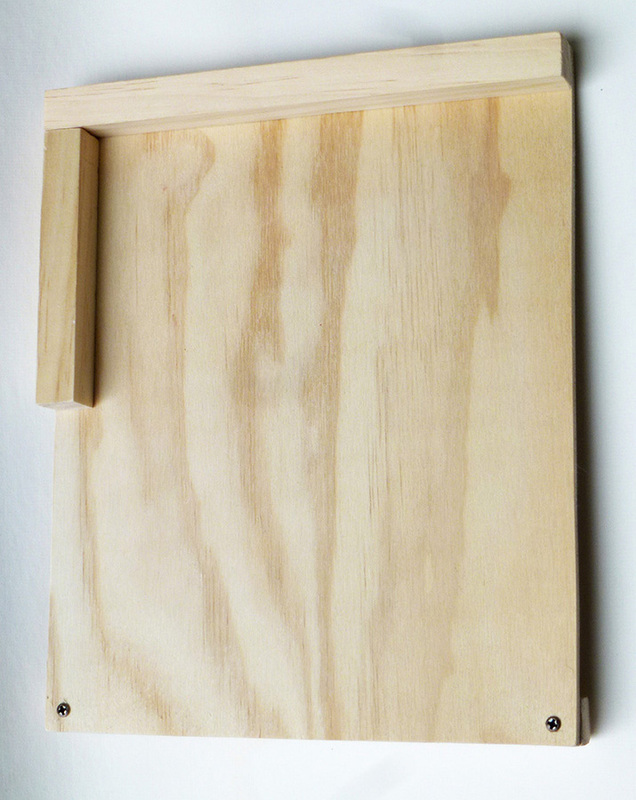 First, meet the new Magic Platen for Linocut Plates and Multiple Passes! 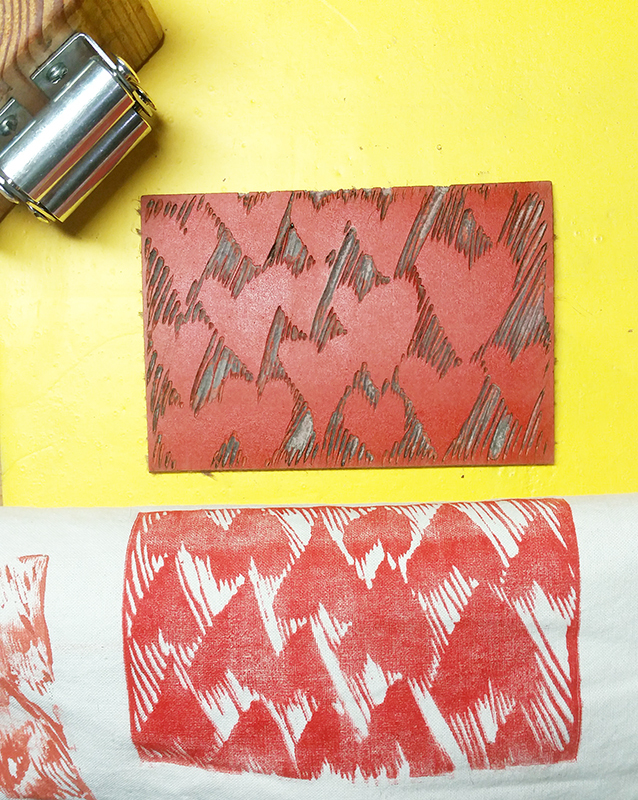 This blog will show you how to press a linocut using this setup. This printmaking press and platen is unique because it has built in registration, and it can also print etchings, monoprints, collagraphs and more. See those pegs at the bottom? Those are the key. 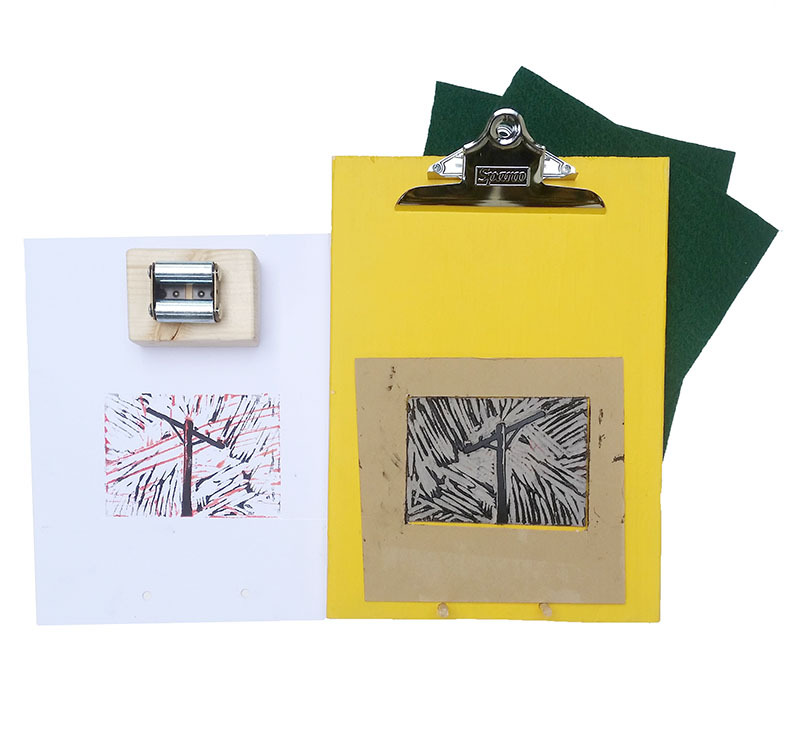 The original Magic Platen can be used for linocuts, but you have to use damp paper or tape down your paper on all sides because dry paper will shift a little while pressing. 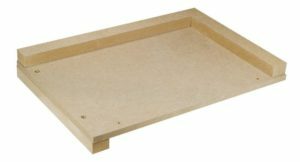 With this version of the Magic Platen, the built in registration bar keeps the paper from shifting, and it makes registration a cinch because your paper will always lay down in the exact same spot. Just make sure your plates are the exact same size, and mark where you put your plate with tape or a grease pencil. 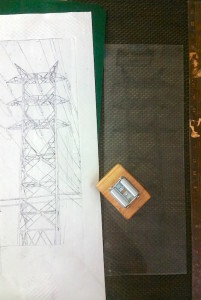 To create the powerline plate, I started with a photograph that I took and some carbon paper. 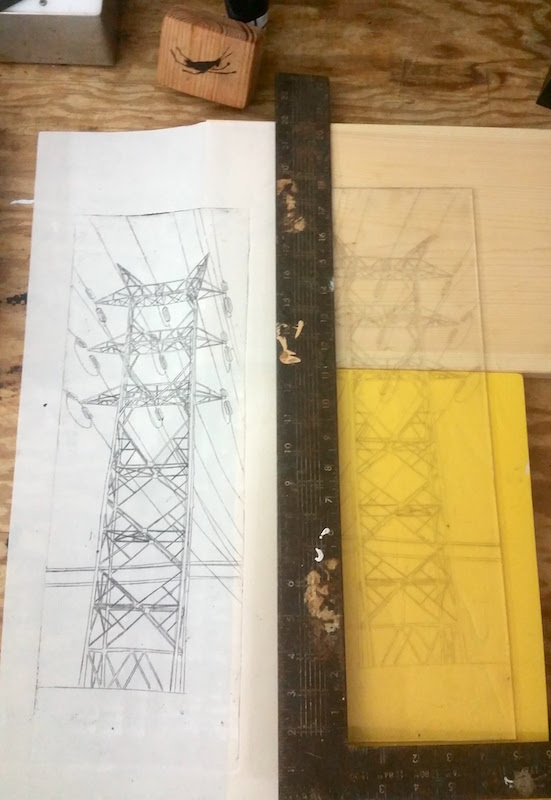 Carbon paper is a must have for every printmaker’s toolbox because it makes it possible to transfer an image without obliterating the original. It also makes it easy to work from photographs. I include a sheet with every linocut kit. You actually can’t even see the pencil lines on the photo, but to really preserve your original image, use something like the other end of a paint brush- something pointed enough, but that has no lead so it won’t leave any marks. I carved my plate in about 5 minutes with help from my bench hook. I know that you’re thinking. My registration is off. Yes, I have the opportunity for perfect registration with every print run… but I failed to make sure my plates were the exact same shape. Hey, at least I didn’t carve anything backwards. I put a small amount of ink on the top of the registration pins so that I can lay my paper on top of them and see where to punch the holes. Remember, slide your paper down the pins first, then clip it at the top. 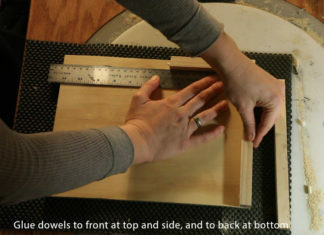 Use matboard and create a frame for your plate. This way, the press won’t push the paper down on either side of the plate. If you skip this you will need to make sure you only apply pressure on the plate. Be mindful of pressure. It doesn’t take much pressure to transfer linocut images. But really overlap your rows when you print. And only press away from your body, away from the registration pins. I used Akua ink and oil based ink for the 2 color layers in my print. The Akua ink requires barely any pressure to transfer, but the oil based ink is thinner, so I press a little harder. Like my prints? I sell them on Etsy! Scotland artist Lucy Johnston wanted to know how my press works when I print drypoint with Akua inks. Lucy currently uses Akua ink and a die cutting machine to press her tiny, elegant prints. The pocket press would give her the ability to work larger, but the small rollers would also be well suited for pressing her delicate pieces, sometimes made using silver! 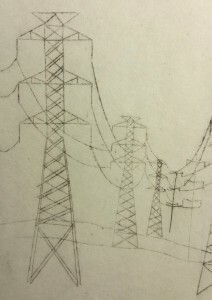 Interestingly, Lucy mentioned that she prints her intaglio prints on dry paper because she has had difficulty getting Akua ink to adhere to damp paper when pressing her drypoints. She wanted to know if she’d run into the same problems with a pocket press. I’ve been wanting to learn more about printmaking inks, so I ordered some Akua and got to work. I was eager to print right away so I used the bulk vellum paper I keep on hand. You only need to soak it a minute or two to get a great ink transfer every time. This happened with the Akua ink too. I think I’ll start including some of this paper with my press kits, come to think of it. Here’s a video of this print run. You can see how much less messy it is when you have a Magic Platen to hold your plate while you ink it up. In the video you can see that I lifted my paper up several times. First, I began to lift the paper and I saw that I wanted more ink the adhere in one area, so I pressed that section again. Then I decided to try lifting the paper and re-pressing just to see if it would cause a double impression. It did not. This means you can lay your paper back down and press more when you’re using the Magic Platen and Pocket Press. This is simply not an option when using a traditional etching press. vellum for her etchings so I decided to try the Akua inks with Kelsey Pike’s All paper. This is going to behave more like Reeves or another thick, cottony printmaking paper. I’d like to compare Pike and Reeves papers because I have a feeling that Kelsey’s paper will win. It just feels fresh. But that is a blog for another day. I soaked the All Paper for about 10 minutes and turned out another print. It wasn’t a bad print, but it was a little bit light. I could see what Lucy meant about Akua ink having an issue with damp paper. Upon very close inspection it almost looked like the ink resisted adhering, like you’d think an oil based ink would act, but for whatever reason, doesn’t. There was only one more thing to try: soaking the paper longer. I let the paper soak for nearly an hour and turned out a great looking print. When pressing drypoint with Akua ink, I recommend soaking your standard high quality printmaking paper about 45 minutes, if not an hour. Or you can try using some Bristol or Vellum if you’re short on time. You don’t have to soak as long when using other intaglio plates, though it probably won’t hurt. 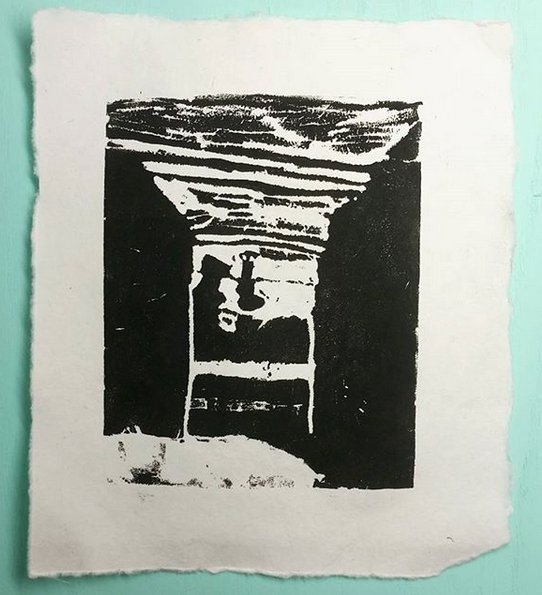 I soaked the paper for about 20 minutes before pressing printmaker Erika Chamberlin’s acid etched plate and got a nice print. damp paper using Akua ink- that means she prints her miniature drypoint plates on dry paper. 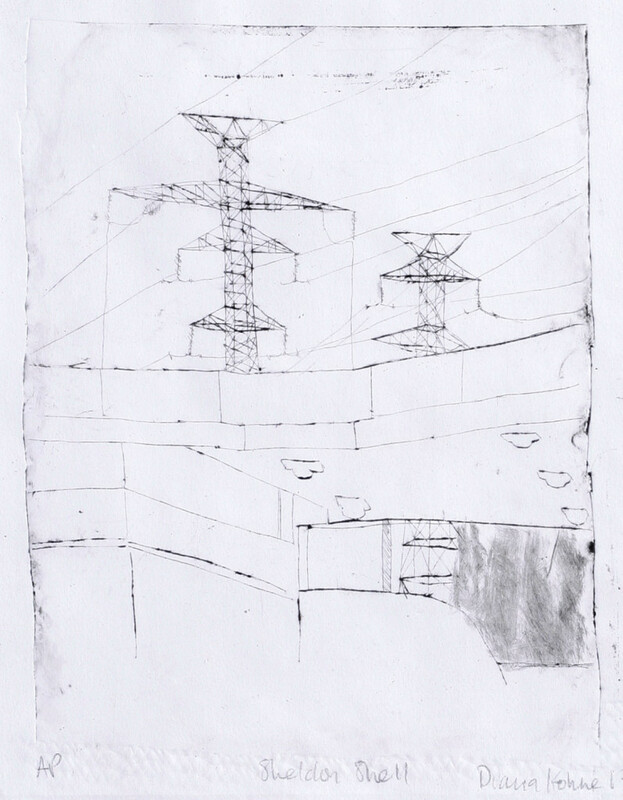 I wondered: can my press print drypoint etchings without dampening the paper? 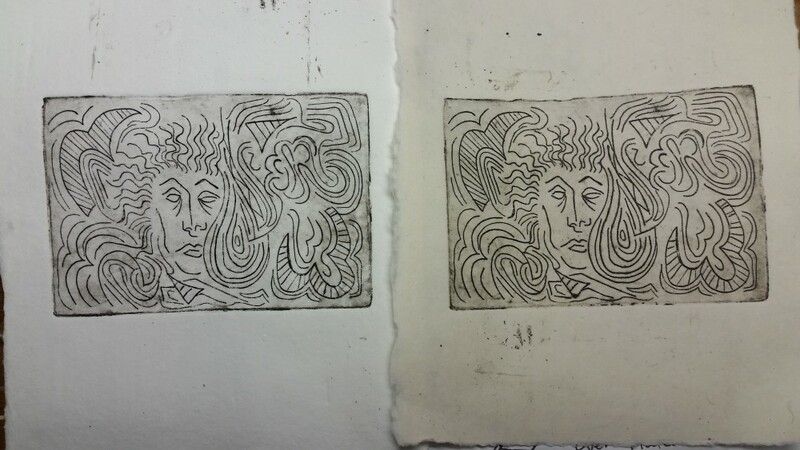 I have to say, this is not too shabby for an intaglio with bone dry paper. 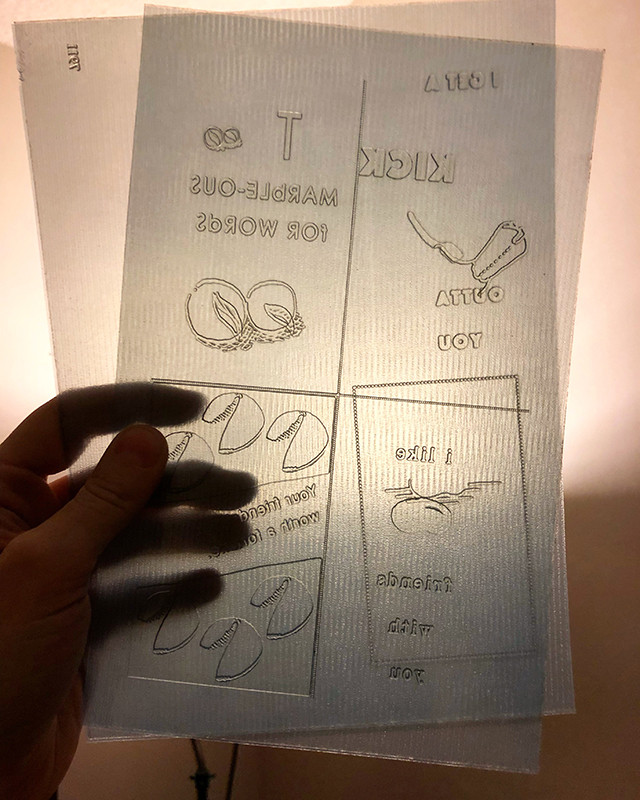 After many print runs with my Pocket Press and Magic Platen, I can’t believe this is the first time I realized that when you’re using a larger or heavier plate, like my 6” x 9” plexi plate or Erika’s 4” x 3” zinc plate, you can ink it and wipe the plate directly on the platen board without holding it. No inky fingers! When you apply pressure to objects on the Magic Platen, they respond by resisting movement. As you can see in the video, the plate just stayed put on the platen while inked it and wiped it. This also explains why I was also able to lay my paper back down and press my plate more without getting double impression. 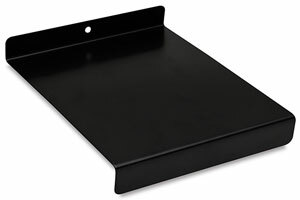 The Platen just doesn’t want your plate to budge. Are you a printmaker with a question about my press? 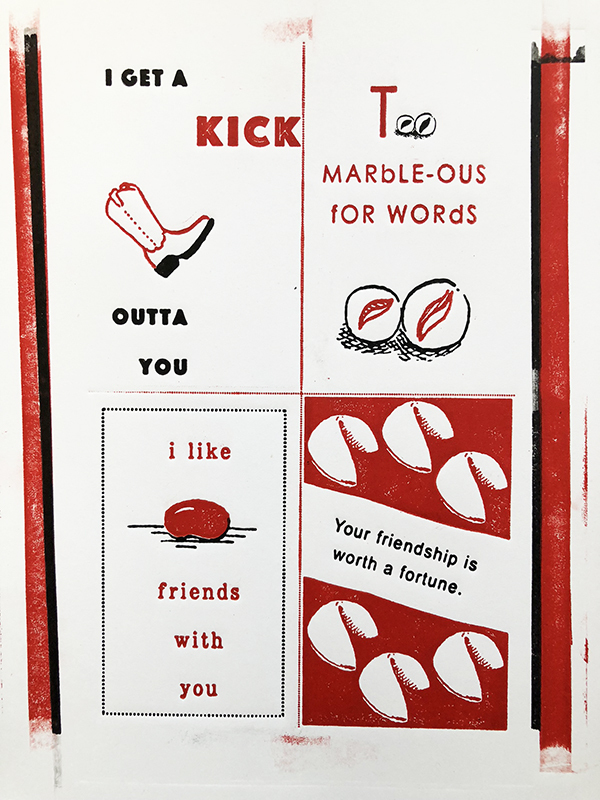 Send me a message at diana (at) printmaking press (dot) com. Learn more about my pocket presses at www.printmakingpress.com. 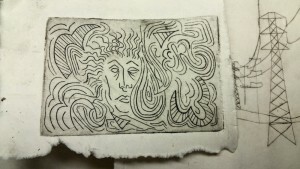 I have been using my pocket press to press drypoint etchings for years. 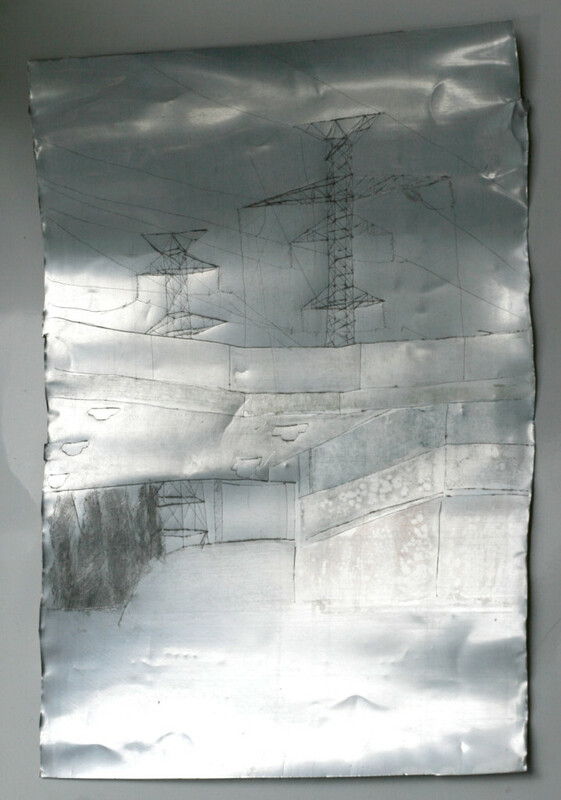 Like many artists out of art school, I have no easy access to etching using acid. I didn’t know if my hand held press could create enough force to press the ink from the deeply etched lines of an acid etched plate. 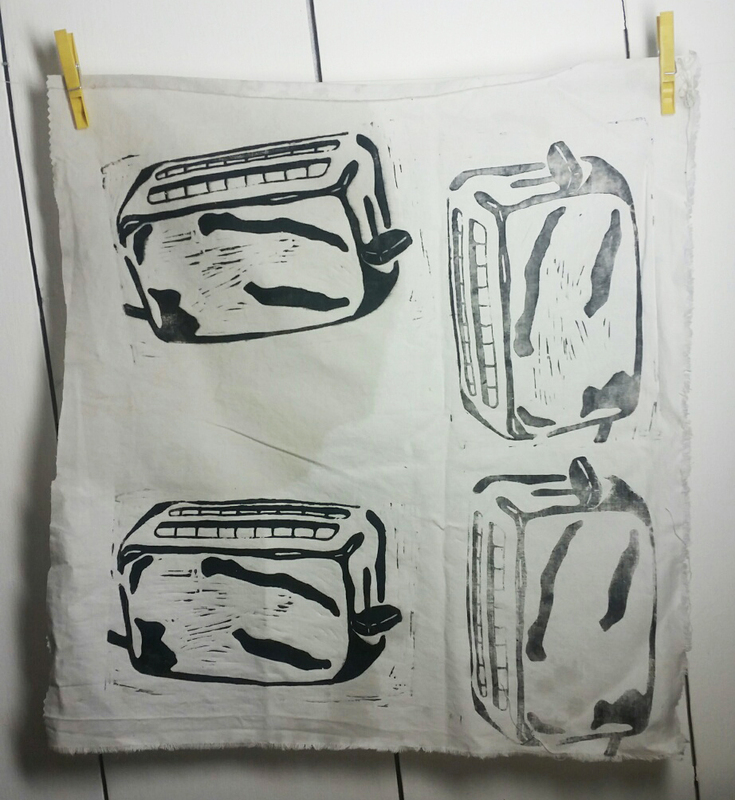 So I reached out on the Printmakers Unite! Facebook group and a very kind and experienced printmaker responded. 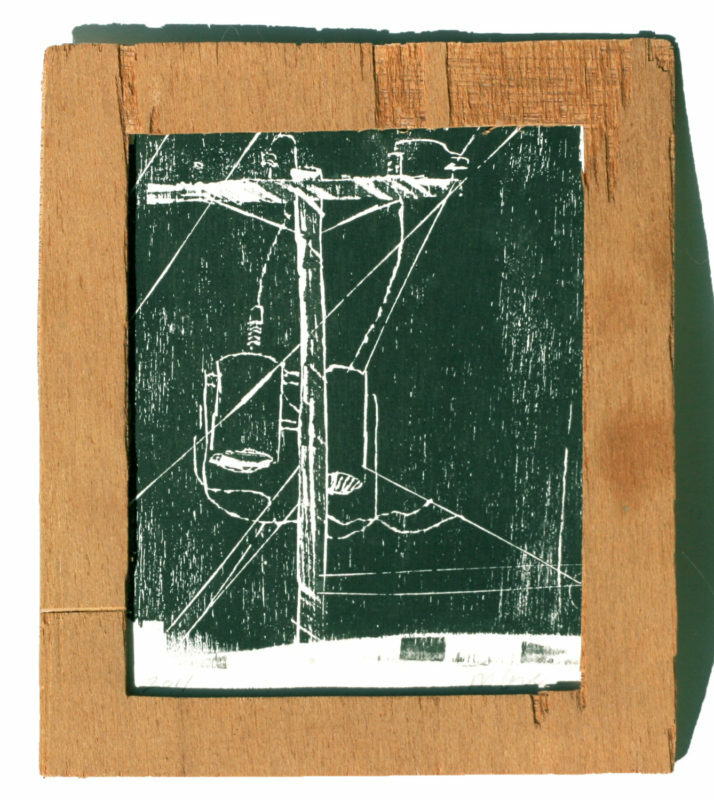 Erika Chamberlin is a fine artist, seasoned printmaker, and a retired USFS firefighter. This might explain why she was up for this art adventure. Even though we’ve never met and have no friends in common, she sent me a stack of intaglio and relief plates, including two fantastic zinc etching plates she made decades ago, so that I could press them with my pocket press and platen… in my pajamas. The first print turned out pretty well! There are a couple of spots where the ink didn’t rise completely from the etched lines. Pressing harder seems like the solution, but pressing too hard can also cause the ink to bleed a little. I got to thinking that a softer cloth behind the paper might help it reach the ink. Rebecca from Boxcar Press shared with me that letterpressers use tympan or onion skin paper behind their printing paper to get more of an impression using traditional presses. So I did a test run where I laid craft foam across the back of one half of the plate, and fleece over the other half. You can see the light line that appears where the two materials met. Both backings caused too much bleeding, but definitely got all the ink out of the lines. I tried a thinner fabric and the line still remained blurred. Then I tried tracing paper in place of onion skin paper, but it did not have any effect. 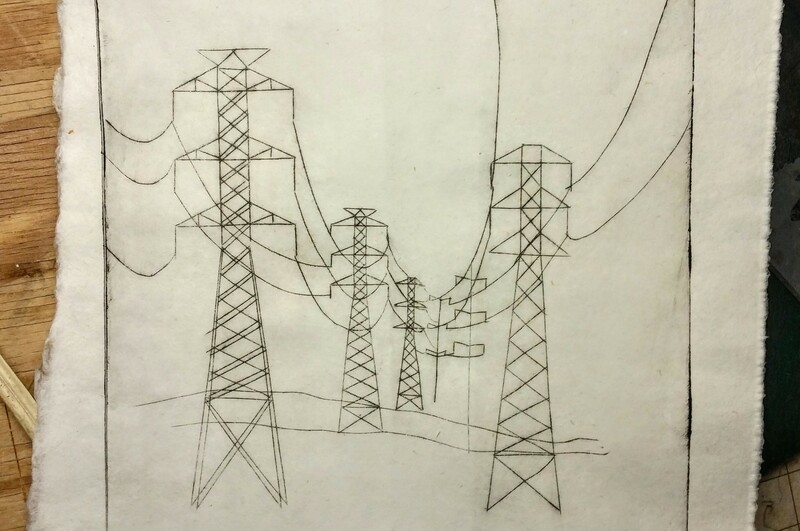 If the lines are very deeply etched, as they are on the leftmost portion of this zinc etching plate (see right most portion of paper) it may be challenging to transfer palm press, or any printmaking press for that matter. Or, it may just be a matter of needing a spongier paper, or a higher quality ink. 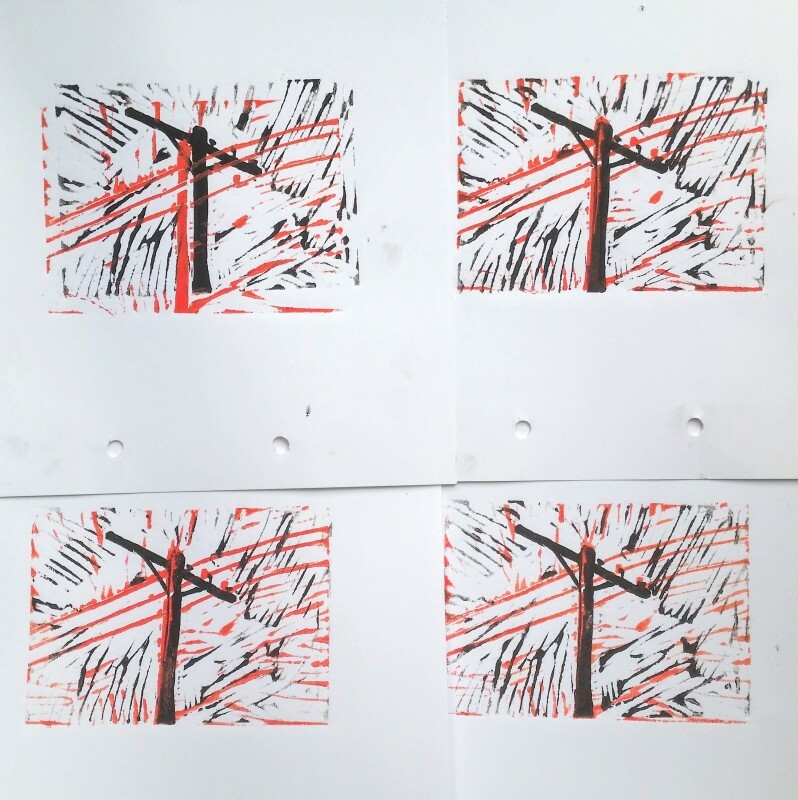 The beauty of printmaking is that it combines art with science, which is probably why printmaking is traditionally done in a lab. I’ve ordered some high quality handmade paper from Kelsey Pike Papercraft to try out. 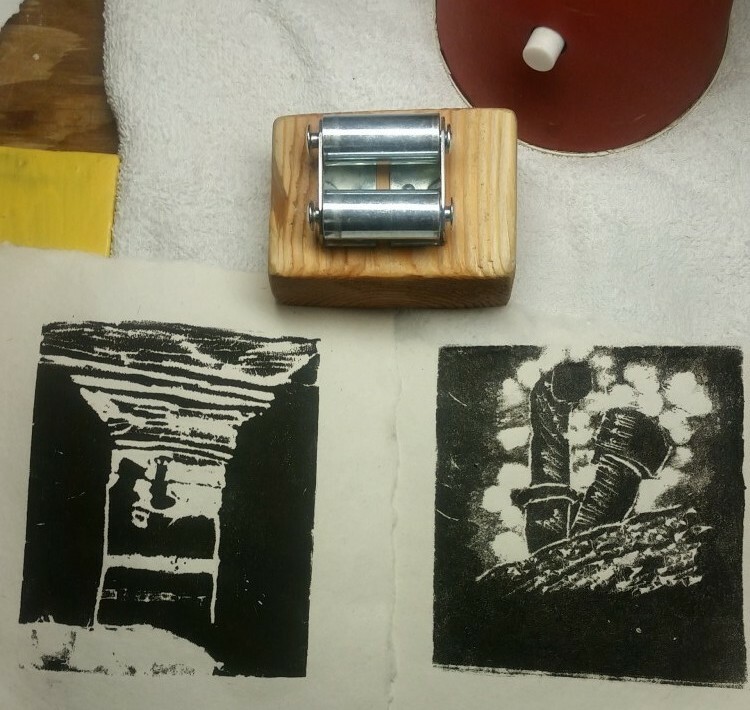 Kelsey’s handmade paper arrived on time and it turns out my mini printmaking press can handle deeply etched plates- I just needed to use high quality paper like I was required to do back in art school. Only a high quality paper can reach into these grooves. This paper can also handle soaking longer. First, I tried Kelsey’s white cotton paper, which I soaked for about 10 minutes and got a really great print. Kelsey sent a long a sample of her All Paper, which has better wet strength. I soaked it for 20 minutes, patted it dry, and got an even better print. I’ll be sending these prints back to Erika to sign. She’s going to send me one back to keep. Maybe some of the others will appear on her artist website. Paper- thin vellum (cardstock) as well as bristol vellum, soaked for a minute or 2, follower by Cotton and All papers by Kelsey Pike Sustainable Papercraft.